RECON’s New LED Bulbs Feature extremely low power consumption, have built-in current limiting resistors, generate practically no heat, and boast a longer life expectancy than any other automotive LED bulb currently available. RECON LED bulbs have an average life expectancy of up to 80,000 hours. LED bulbs may cause some newer vehicles to indicate a bulb is burnt out (because of their low power consumption). Some cars indicate this by increasing the flash rate of the turn signals, some turn on a bad bulb indicator. This can be remedied with our Load Resistors wired across the turn signal bulbs to simulate a filament bulb load. This 6 Ohm, 50 Watt resistors can be connected across the turn signal bulbs to simulate the load of a regular filament bulb (2 Amp load). This will solve LED related turn signal problems such as hyper flashing or burnt out bulb indications. This LED Load Resistor can be use with most signal or brake light which uses SINGLE or DUAL FILAMENT LED light bulbs, like the 7443, 1157, 3157, 4157, 1156, 7440, 3156 etc. Using included splice taps, connect one wire to ground and the other wire to the turn/brake hot wire. Splice taps allow for installation without cutting your turn signal wires. 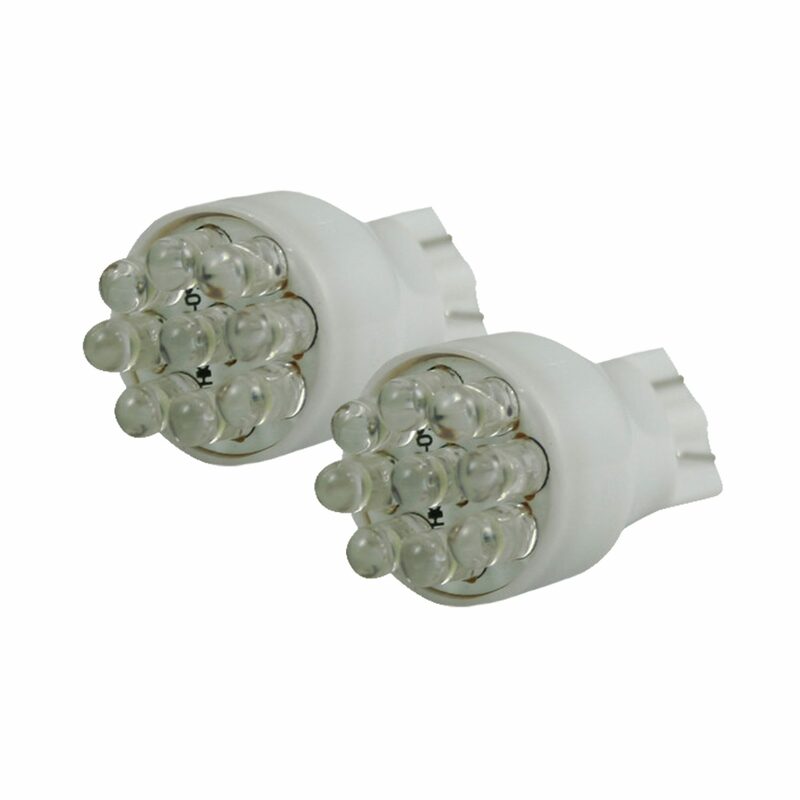 — Solve LED related turn signal problems such as hyper flashing or burnt out bulb indications. — Compact design for easy installation. — 6 Ohm 50 Watt resistors can be use will most import and domestic vehicles. Don’t get caught in the dark again…Light It Up With RECON!!!!! These bulbs are sold in pairs which means 2 bulbs come in each package. This means if you need a total of 4 bulbs, you must enter a qty of 2 before clicking the “add to cart” button located below.